Perfect for use in dodgers, stack packs, sail covers, awnings and upholstery. 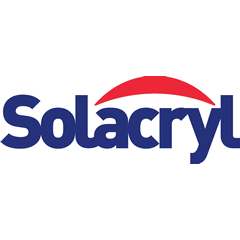 Solacryl Unique Infinity Process creates a softer fabric resulting and cockpit enclosures etc. Rot proof, oil and grease resistant. Weather resistant- rain or shine.